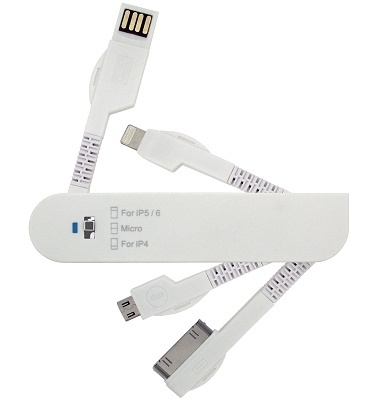 Multi Charger Cable Pen Knife Shape bulk buy logo printed. Guide: Multi Charger Cable prices. 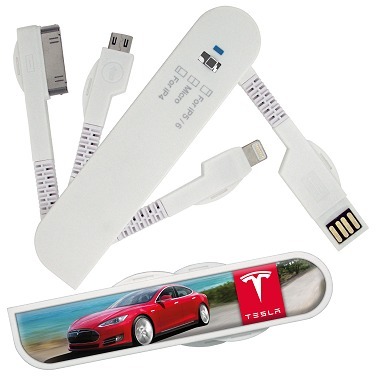 This USB charging cable which folds into a body shaped like an army pen knife contain Lightning 30-pin, micro-USB and USB connectors. The body is decal logo printed as a promotional gift.